How much did they charge you for the driveshaft if you don't mind me asking? Damn that's pretty cheap. Was it one off or one made for something else that worked? Can you take a couple good pictures from the front to show how much the wheel/ tires stick out past the fenders and what backspacing on the wheels? I remember their 17x9 just not the b.s.. I'm doing some measuring to see if the 37's and recentered H1 double beadlocks will be mostly covered by the fenders. Since I'm going to be doing a V8/C6/ manual transfercase swap I'm not worried about the extremely heavy wheels and tires. I'll get a better picture tomorrow. I have a couple from when I was showing someone the rear width. 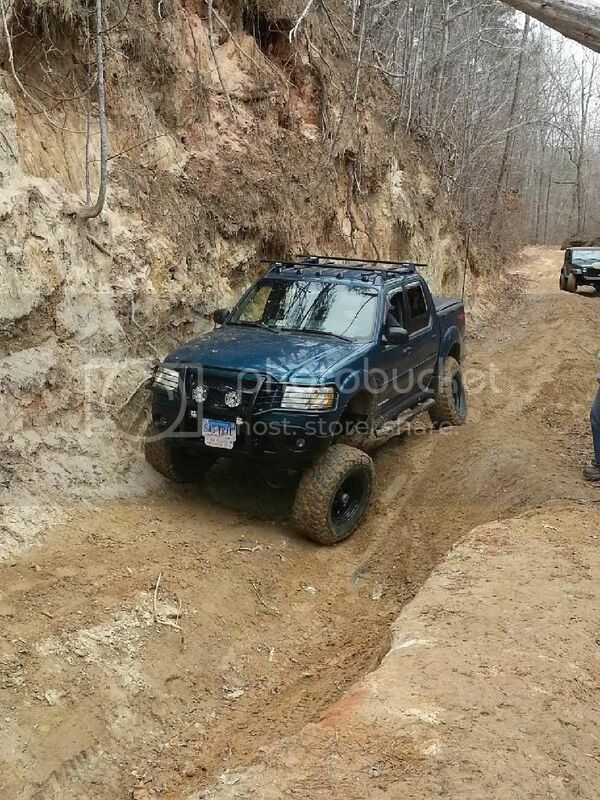 Just an FYI Jerry, my brother in law had H1 wheels and 37s on his JK and his D44 was smiling within a few trail rides. It's the reason he bought the D60/D70 (and have since become available to me when he traded for a Civic). Thanks man, that would be great. What backspacing do those wheels have? 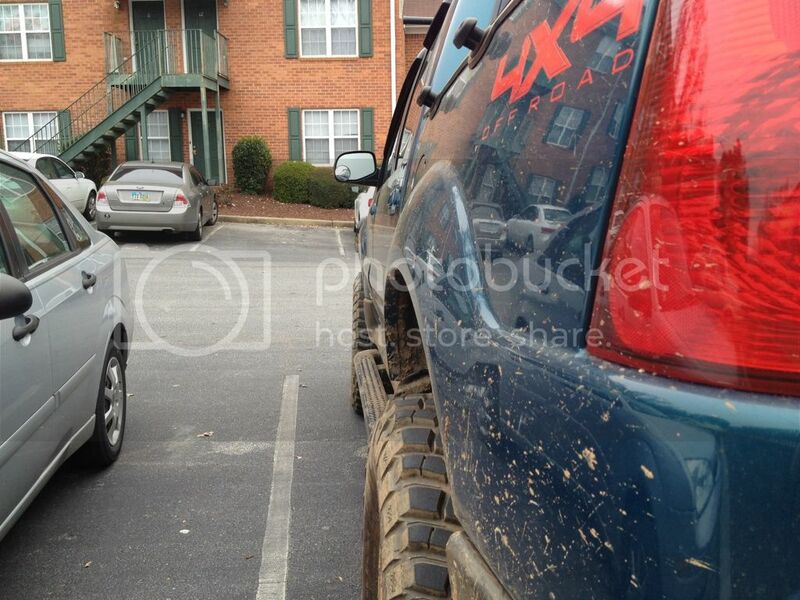 My wheels and tires I have on now stick out further then yours do in that picture. From my measurements that I have so far it looks to be about three or four inches wider than it sits now. Hopefully with the steel tube fender rails I'll be fabricating they'll be covered. If the temps come up I can go out and test fit the H1's with the adapters on the rear and front to get an idea. Do you have a Photobucket album that you could post a link to? I know you have tons of pictures of your build and rig. Just like to see more to research and info to go by and as you know there's only a few SAS'd ST's that are documented. Hugh, I pan on trussing the axle and gusseting the C's so I shouldn't have too much trouble with it. I wheel with guys running up to 44's and don't have any issues. Here's a link to my SAS album. I threw in all the ones that I think may help. The ones I tool today for you are a couple of lines down. As far as my wheels, they are Pro Comp Series 98s with 4.25" BS and -19mm offset. If you want to text me your email address I created a spreadsheet with all the different parts (name, company, description) that were used. I think that will be extremely useful because it's a lot of things that I didn't think of right up from like which pitman arm to use, etc. Thanks man, I'll check out the spread sheet for parts. 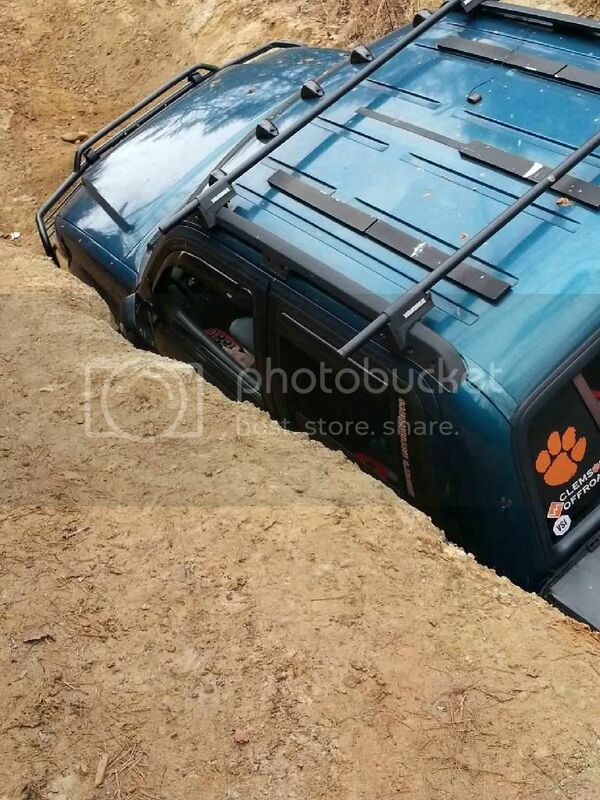 I went with the offroad club at school to a place in Toccoa, GA yesterday to test out the SAS now that it finally has 4wd. Unfortunately it was pretty slice from snow melt and being open/open hindered everyone. 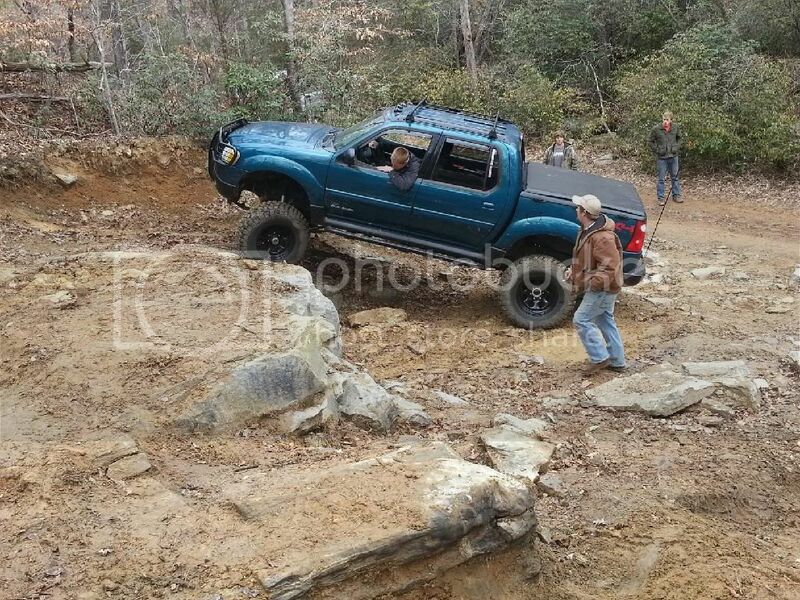 I was able to get my buddy to bring his ST with 33s and TT/Shackles to the trail. There were a lot of parts where the extra 8" or so of travel really helped to keep my tires planted. It flexed out great, no rub, but I still need to bend the gas tank skid plate some more to avoid the terrible grinding of my rear driveshaft when flexing. The truck is really tippy with the BL in and got a little sketchy on some steep turns and off camber ledges. I NEED to get the Aussie lockers in. This would allow for a lot more control and slower speed where the height wouldn't be as much of a problem. Overall, I'm happy with the SAS and the way it performed. Kind of wishing I had gone full width but I guess you have to leave room for improvement. Don't get nervous about it feeling tipsy, you just need to drive and wheel it more to get comfortable with the way it handles now, that's all. Nice pictures. Wish I could have joined. The truck looks awesome in it's natural environment. I hope to check it out in person soon. Like rebel said the more you wheel it you will be more aware of your ST's limits. If you're still uncomfortable then remove the BL. Could you possibly post some pics of your steering box setup! There things always look so wonderful and natural SAS'd. Thanks everyone! The BL is still in but it will come out one day. I've been on a few more trips and The SAS/SOA is very helpful on trails but the overall height kills how close I can get to trees and walls.